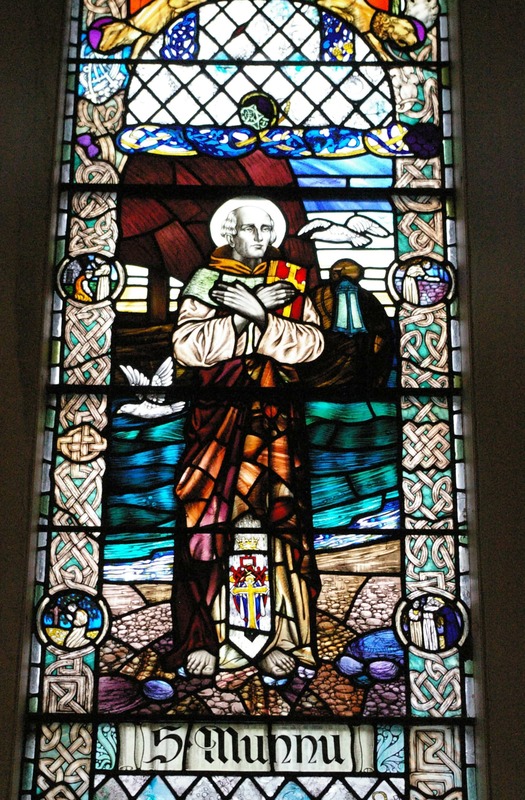 St Munn appears in a window at Kilmun Church. This was how St Munnu was celebrated in the Martyrology of Óengus over a thousand years ago. His original name was Fintan, as in the poem above), but people gave him the name Munnu (or sometimes Munn, Mund, etc.) as a kind of devotional nickname. 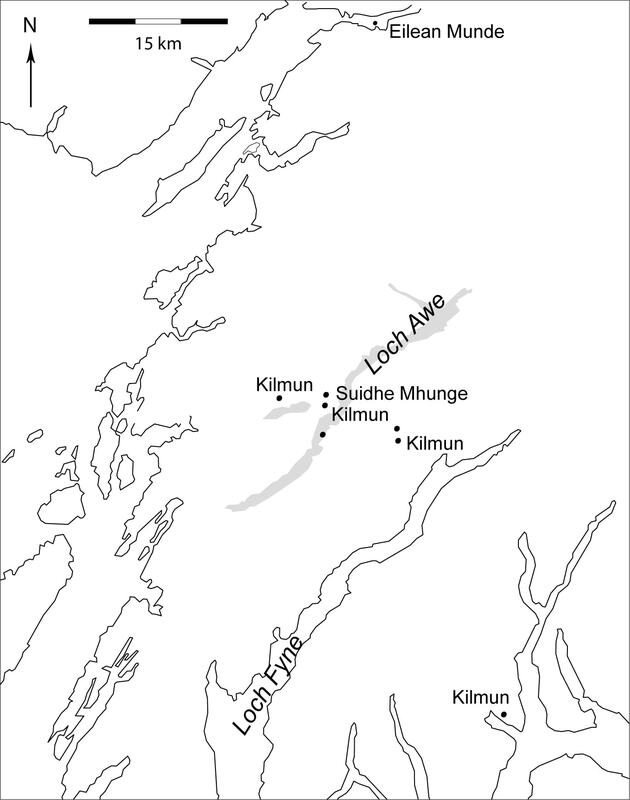 We see similar re-naming in the way that St Columba became Mo-Cholm, and St Kentigern became Mungo or Mo-Chá. The language of this little poem suggests a man remembered for his firmness in faith, his sharing in the rather austere ascetical practices of those early monks in the Gaelic world. As a ‘battle soldier’ he was remembered as fighting with demons, defeating the violence of the world around him with the spiritual weapons of fasting and prayer and almsgiving. The reference to him being ‘crucified’ is a metaphorical one. He probably died quietly in his own bed in his own monastery with his brethren around him, but his whole life of self-denial was seen as a ‘crucifixion’, as a way of following the crucified Christ. Our next oldest story about him, about sixty years later, comes from the pen of Adomnán mac Ronáin, the ninth abbot of Iona. He tells us that Fintan-Munnu came to Iona hoping to be a monk there in the year 597 or 598, just after the death of St Columba. But before he died Columba had had a vision in which he predicted the coming of Fintan, and he had told his successor, Baíthéne (abbot from 597 to 598) that Fintan would come, but he was not to admitted as a monk of Iona. He was too holy a man to be under the rule of an Iona abbot, but instead he would become an abbot and leader of monks in his own right, in his own monastery in Ireland. So it was that Fintan-Munn was sent to Leinster to found a monastery which became known as Tech Munnu ‘Munnu’s House’, now Taghmon in Co. Wexford. Interestingly, Adomnán says that he got this story from an old priest who had heard it directly from the mouth of St Munnu himself. Although the earliest sources about St Munnu associate him almost entirely with Taghmon and other places in Ireland, his cult did develop in Scotland too. But it appeared within a very defined area – all his dedications are in Argyll, and it is among Argyll folk that his memory flourished, especially in the area controlled by the Campbells, though the northernmost dedication at Eiliean Munde was in MacDonald territory. 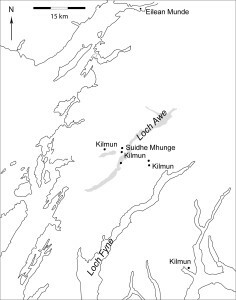 There are three churches or chapels called Kilmun (Gaelic cill Mhunnu, ‘church of Munn’) and an island church called Eilean Munde (‘Munnu’s island’). Near Kilmun on Loch Awe, the saint is also commemorated in Suidhe Mhunge, ‘Munnu’s seat’. 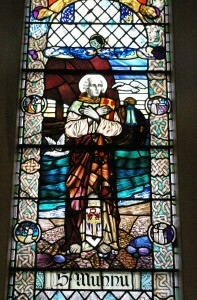 Of all these places, by far the most important was the church of Kilmun in Cowal, near Dunoon. It became became the major church of the area, the burial-place of the Campbell earls, and a collegiate church served by a community of priests. It is probably the cult of St Munnu at this place that gave rise to the name Holy Loch on which the church stands. 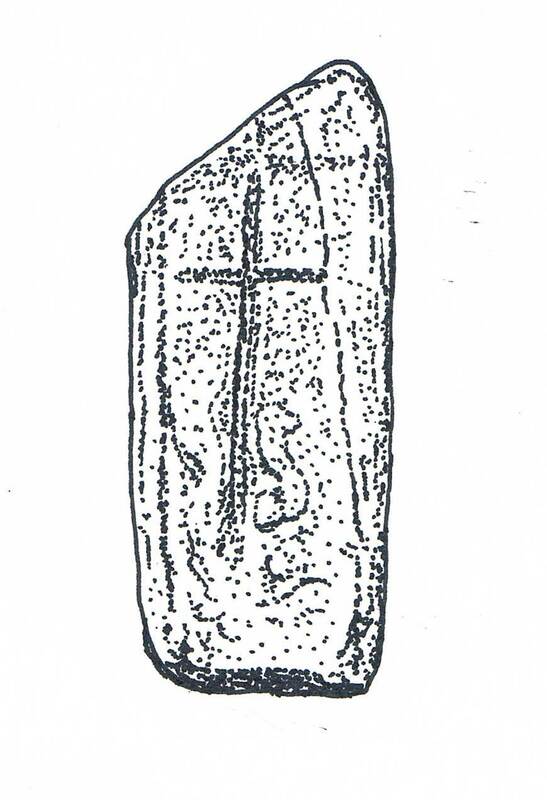 We know that a bachall, an abbot’s staff of office, was kept near Kilmun in the Middle Ages, and it was believed to have been St Munnu’s own staff. A hereditary relic-keeper or deòradh had the custody of it, and lived on the farm of Inverchapel an hour’s walk to the north of Kilmun. Although we have no direct evidence of the way this relic was used, from what we know of other relics in the medieval Gaelic world, we can assume that oaths were sworn on it (much as people swear on the Bible in a modern court of law), and perhaps it was used to heal the sick, to bless and protect warriors before they went into battle, and to accompany the dead to their burial. The relic of St Munnu is now lost, but who knows if it might appear again? 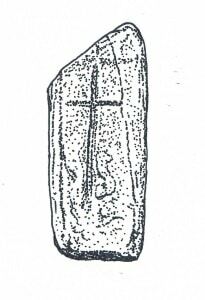 An early Christian cross-carved stone survives at Kilmun.